What obstacles might, challenge you today. So pursue and destroy them, don’t you dare resist. that the real power—is within your mind. Let positive thoughts, help chart your new course. But the only tragedy, is if you choose not to rise. But your only foe, is your own reflection. You have lives to influence and success to earn. 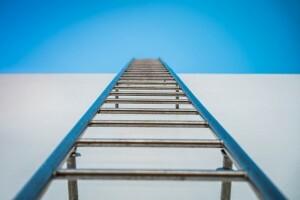 And the ladder of life, you will always ascend!